In the previous article I have explained Import MS Excel sheet records into Sqlserver database and change the text color in Image dynamically using asp.net. 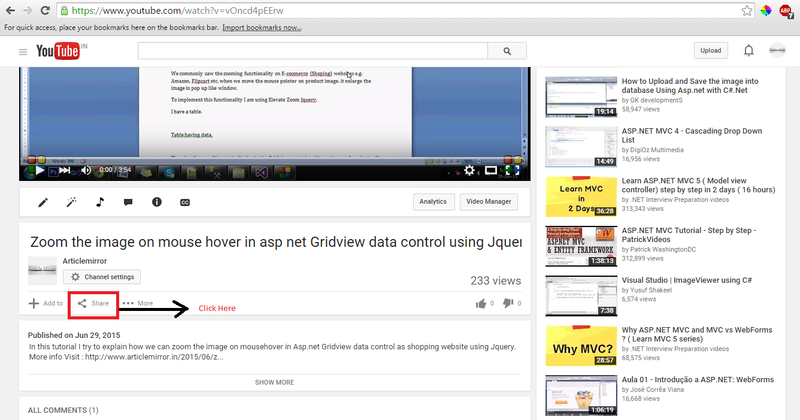 I want to embed the https://www.youtube.com/watch?v=vOncd4pEErw video in asp.net application. 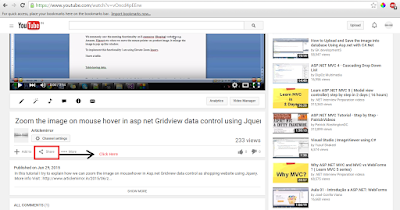 To embed the video go to Youtube video URL and scroll down. You see the share option below the video title, click on it. There options are available Share, Embed and email. You have to choose the 2nd one (Embed), click on it. You see an iframe code in textbox. 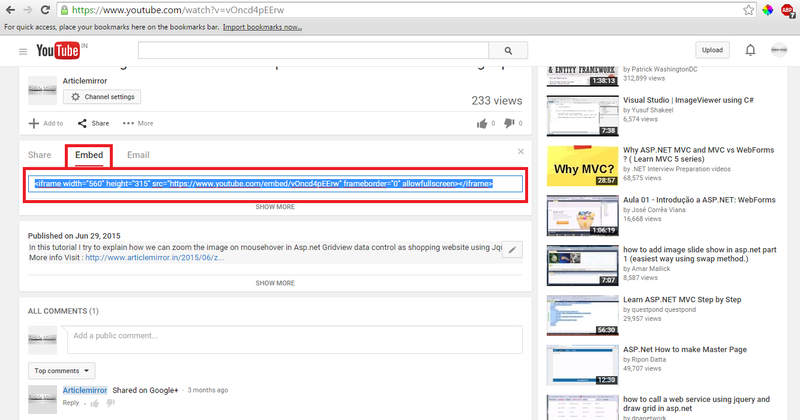 Copy it and paste where you want to display the Youtube Video. Save the webform.Run it and check the result. 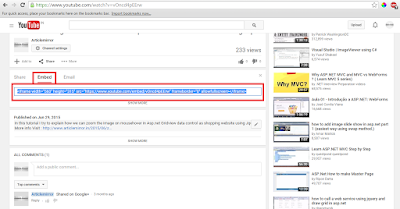 In this article we have learn to how to embed the youtube video in asp.net application. I hope you enjoyed this article.